Inspired by our raw materials, we continuously apply innovative ideas and design products with unique quality features, that meet the daily needs of our consumers. We were the first producer of balsamic vinegar in Greece in early 2000s, a category that, until then, included exclusively products imported from Italy. The acceptance of our products by the consumers and the market demand for innovative ideas led us to gradually develop the first Greek balsamic cream, resulting in the creation of a whole new product category in Greece. Our upgraded mustard recipe full of Mediterranean character and unique taste. 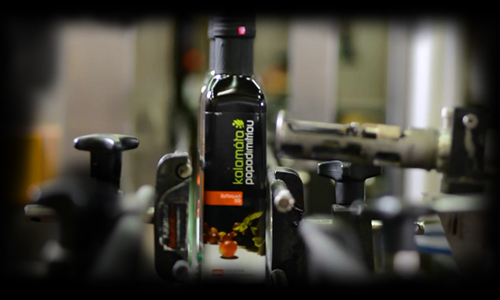 We have replaced regular vinegar with our balsamic vinegar and have added extra virgin olive oil. Responding to the rising need of our consumers for on-the-go meals, we created a new product line of extra virgin olive oil, balsamic vinegar and condiments packaged in a practical, single-serving size. Our company has managed to become the largest producer in Greece and major supplier of airlines, restaurant chains and hotels, both in Greece and abroad.